New Delhi: The President of India, Shri Pranab Mukherjee inaugurated a Conference on “Bihar and Jharkhand: Shared History to Shared Vision’ today (March 24, 2017) in Patna, Bihar. The Conference is being organized by the Asian Development Research Institute (ADRI) as part of its Silver Jubilee Celebrations. Speaking on the occasion, the President said that he had come to the state of Bihar on many occasions and was always inspired by this land of inspiration. The ancient history of Bihar, of which Jharkhand was a part, is indeed glorious. It was the region where Buddhism first emerged and where Nalanada and Vikramshila served as great seats of learning in ancient India. Despite the region being a land of rich mineral resources and fertile soil, relative economic progress and development could not take place. 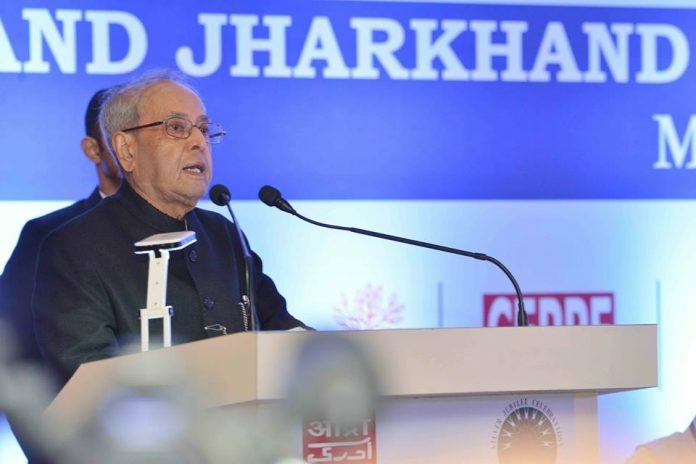 The President said that the enormous gap between the potential and reality of development in Bihar and Jharkhand, the former having plenty of fertile land and the latter endowed with abundant mineral resources, has attracted the attention of many scholars. At this juncture, however, we only need to remember one important lesson of history, viz, the burden of history, howsoever heavy, can indeed be unloaded with right social mobilization and political initiatives. 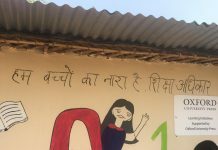 We also need to realize that, for seriously disadvantaged regions like Bihar and Jharkhand, a strategy of development requires the policy makers to unleash the productive forces of the economy, and not just unquestionably follow a path of industrialization, as was done by countries or regions which had developed earlier. It is here that one requires directed research which can identify appropriate policies that best suit the interests of the regions. The President said that he was very happy to learn that the Asian Development Research institute (ADRI) is one of those institutions which have been active in social science research during the last 25 years. He hoped that they would continue their efforts in coming years and attain new heights in their academic pursuit and simultaneously provide valuable research support to various development agencies.